After the success of Black Mirror: Bandersnatch Black Mirror: Bandersnatch: Everything You Need to Know Black Mirror: Bandersnatch: Everything You Need to Know Black Mirror: Bandersnatch offers a glimpse of the future of streaming media. In this article we attempt to answer your questions. Read More , Netflix is launching its second interactive series. This one, called You vs. Wild, will see you choosing between two courses of action for Bear Grylls to take. Some of which may land him in physical danger. Bear Grylls made his name—and what a name it is—as the star of Man vs. Wild. That show, which ran for seven seasons on the Discovery Channel, saw Grylls (and his production team) dropped into the wild and charged with finding a way back to civilization. Grylls obviously always made it through, taming the hostile environment in the process. However, in doing so, he often faced some difficult decisions. And making the wrong decision could have led to something bad happening. Which is where You vs. Wild enters. 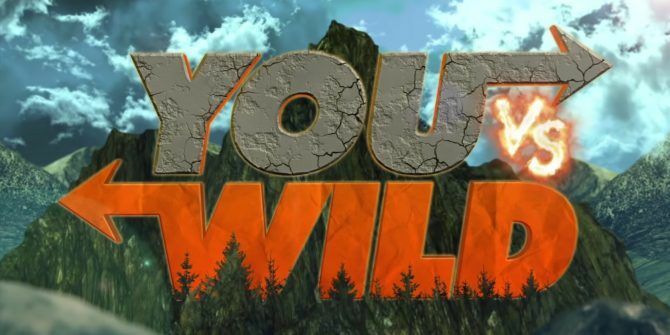 You vs. Wild is essentially Man vs. Wild, but with you, the viewer, in charge of Bear Grylls’ fate. Through the series, Grylls will find himself facing some difficult decisions. But it’s up to you to choose the right course of action. And if you don’t, the Wild could win. Just like Bandersnatch, viewers will have to decide how the story plays out. And while we very much doubt Netflix will depict Grylls getting ripped apart by a mountain lion or fall to his death down a rocky ravine, there will be good and bad outcomes. You vs. Wild is set to debut on Netflix on April 10. Which gives you time to work your way through Black Mirror: Bandersnatch. And when that has whetted your appetite, you should check out the Black Mirror episodes guaranteed to mess with your head 10 Black Mirror Episodes That Will Mess With Your Head 10 Black Mirror Episodes That Will Mess With Your Head Black Mirror is a show capable of messing with your head, and these are the episodes we think will make you think long after the credits have rolled... Read More . Explore more about: Media Streaming, Netflix, TV Recommendations.